The Boss Buck Non-Typical foot design is completely unique! 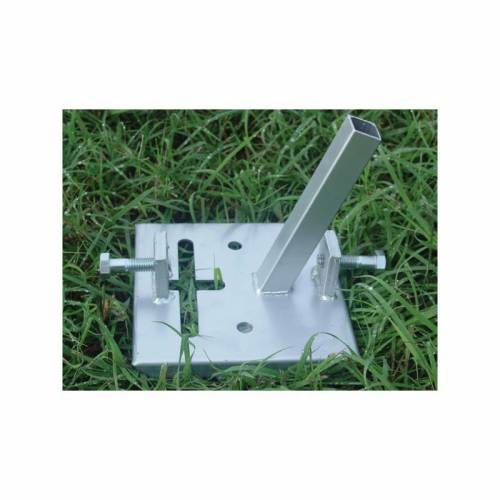 The feet are designed to accept a T-Post through the center of the foot. The feet are large square steel plates. Each foot has a large nut welded to it and a bolt that when tightened secures the feeder to the T-Post. This will not only protect the feeder but keep it level and immobile. Feet will receive any pipe or tubing with an I.D. of 1.25" or larger. The Square tubing on the Deluxe feet is 7/8" square tubing.